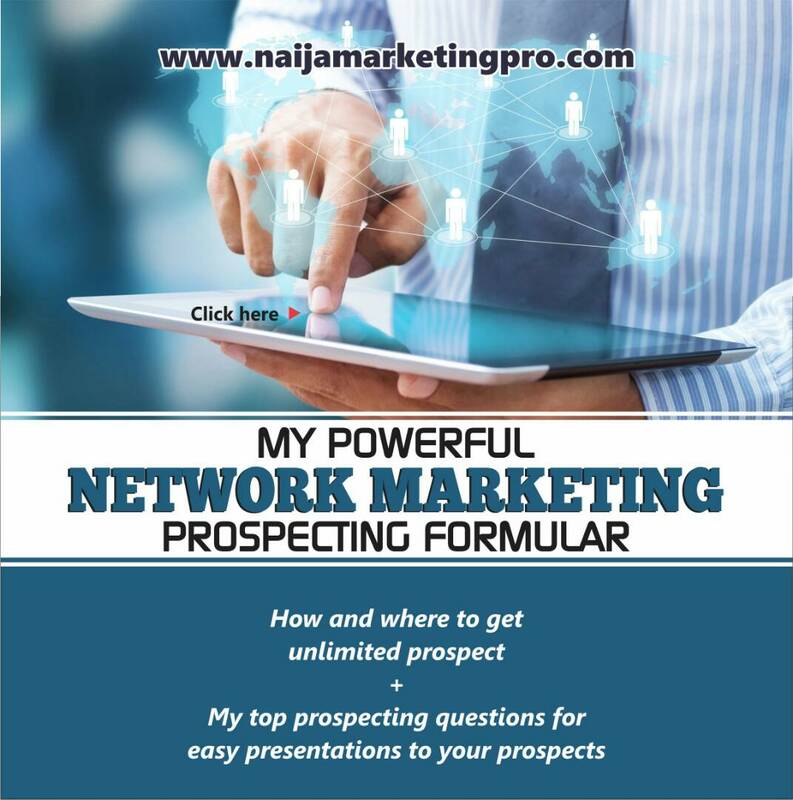 How network marketing change my story from grass to grace. 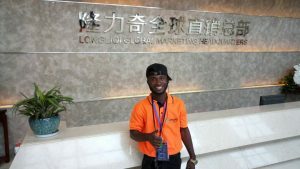 Home » Interviews » THE PAIN AND THE PLEASURE: How network marketing change my story from grass to grace. 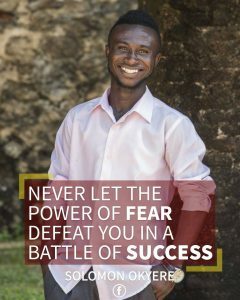 Ayodeji Oladeji Charles sits with Solomon Okyere for an insightful interview and what propelled Solomon Okyere to the level of high level of success he is living today. Solomon is an engaging and highly-motivated man who became an entreprenuer early in life. His story begins by him telling us of his humble beginnings, and of him being a 20 year old young man who was selling puff loaves. He was born partially as dumb when he was a baby. In life if you don’t know where you are going, you will never leave where you are. And if you know what your dreams are you will chase after them and if you love what you do, you will never quit. Solomon was very determined because he believes in himself and he also believes in God. He’s a young guy of 22 years of age born and raised in a city in Ghana called Ashaiman. He happened to be the second child of his mother’s children and the only male child among her children. His parents were never together and he was born as something people would refer to as a mistake so he was denied by his father the very day he was born. He was raised by his mother and his grandmother and by his late aunt. They were actually living in the same rented house where his aunt was selling meat pie, whereas his grandmother was selling puff loaves. He was born partially as dumb when he was a baby so it was his aunt who rushed him to the hospital for a minor surgery under his tongue to be done before he could cry as how a normal baby would cry out. 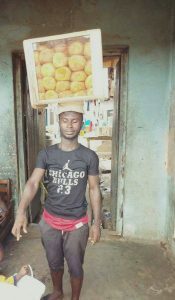 Because of the dumbness and other life situations the only way his mother could generate money for his education was to sell puff loaves so he started his basic schooling at the age of 5 at the Presbyterian Primary also in Ashaiman. During Solomon school days he was very smart and clever academically and he made great progress as he made it to primary 3, and his father later on accepted him and he decided to pay his school fees but couldn’t afford it withdrew him from his current school then to a government school called Ashaiman N#2 where he went back to primary 3 to continue his basic education. They were studying on shifts as one of the school’s policies and that was 7am-12pm for morning session and 12pm-5pm for the evening session. He continues, “I then furthered my education at the Tema Technical Institute and being there I studied industrial mechanic engineering. ‘During my secondary education, life became very hard and that pushed me into having the mindset of making good money and that my family members wouldn’t be able to hold a family meeting without me so I then went back into the puff loaves selling business. ‘Something happened to me in my final year in secondary school which changed my life and I call it my breakthrough and my month of preparation which was also full of struggles and surprises. ‘I was on the streets selling my sweet puff loaves one holiday and I saw a certain poster pasted on a school wall which was about a job vacancy. 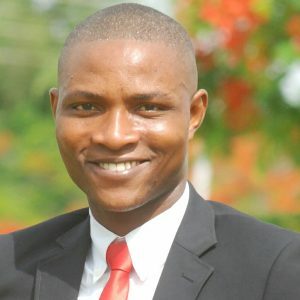 ‘I took one of the contacts, I called and it was a man named Mr. David Frimpong who responded my call and then asked me to come for an orientation one Saturday morning which I went and it was a business opportunity presented to me by one man called Mr. Kwabena Yeboah now the CEO of edwom.com. ‘After the presentation I realized that the only way to join the business was to invest in the business with some money. ‘To be frank I was very disappointed because according to the poster, it was a job opportunity but then they had turned it into a business opportunity and at that moment the only money I had on me was my school fees for my final year examination. ‘I then went back home to have a deep thought about the two choices I had at hand and that was my education or the business opportunity. ‘I took the bold risk and invested my whole savings which was my school fees in the business. ‘After joining the business I really benefited a lot and I had a lot of education on Multilevel Marketing (MLM ). ‘Being in the business for six months, something happened and the business collapsed so Kwabena Yeboah and I went on to join other businesses and it also collapsed, it was then that I realized that all that glitters is not gold. ‘Because we were united as a team, we found another business opportunity. ‘In fact I called it the gold mine but when it was presented to me I doubted it because of my past experiences with other businesses which failed me and made me go back to my puff loaves selling business again. One day I sat down and decided to read more about it and I finally realized it was the gold mine I was looking for so I made up my mind to join. 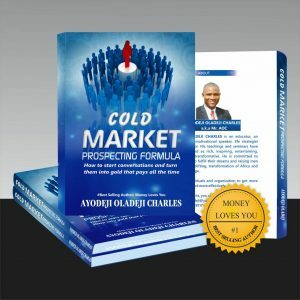 ‘And when I joined the company the money that I invested as my registration fee was given back to me in the form of products worth more than the amount I invested and that if I had decided to sell the products, I could get my money back with interest. ‘I became very excited and I decided to start building my new team because the team I built in my former company was disappointed because of what happened to our other businesses I introduced to them. ‘I then decided to start all over again. ‘During my first month in the business I couldn’t get anybody to register under me, in my second month in the company with all the hard work and commitment, I couldn’t also get anybody to register under me so I decided to give my third month in the company another try and the most shocking thing was that I couldn’t get anybody to register also in my third month but I never gave up. ‘In my fourth month I was able to get just one person to join and even that I got the person through facebook and this made me realized that it is always not about hard work but rather by working smart, when you have the right system. ‘By working smart, being focused and committed in the company for a year now I have over 5575 members in my team and still counting. 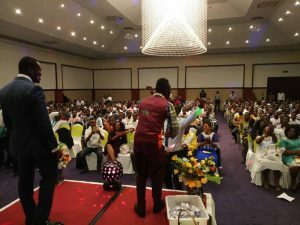 ‘I was in my house somewhere in the month of may this year 2017, I received an exciting message from the company saying I had qualified for a trip to Dubai as one of the company’s incentives. 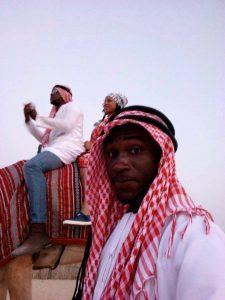 ‘As a matter of fact I was happy beyond expression because I was living in Accra but because of life complications I didn’t even have any idea where Kotoka International Airport was, but now I was going to Dubai, it was unbelievable. ‘After coming back from Dubai I realized my life had really taken a positive turn from grass to grace. ‘Another surprising package popped up in the month of September the same year 2017. 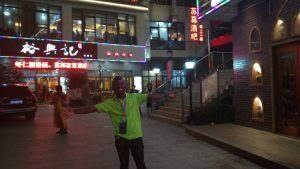 ‘I was able to qualify for another trip to china with all expenses paid by the company. ‘In deed network marketing gives a better life and a better future. ‘Life is full of surprises and if you have passion for what you do, you always yield positive results. ‘In the year 2015 at the age of 20 I was working hard to save money just to buy myself a bicycle which I couldn’t but in November year 2017, I received my first brand-new car from the company and guess what, three people from my team in South Africa also got their brand-new cars. ‘Leadership is not about age, height or size but rather about the positive mindset and attitude because if it was about age, I was young and if it was about height, I was short so It is all about positive attitude. ‘In deed, if I can do it then you can also do it better. ‘It is possible if you believe in yourself and your industry. ‘John D. Rockerfeller said “I would rather earn 1% of 100 people’s effort rather than to earn 100% of my own effort and don’t be afraid to give up the good to go for the great”. Wow! What an amazing experience for Solomon. This is the awesome power of possibilities network marketing can create. With the realization of your ability to truly empower and affect the lives of people, you can transform not only given individuals, but the entire culture as well. This is the challenge. And I invite you…. encourage you to take it on. Create for others and yourself the inspiration required to design and then live an ideal life of choice in which anything is possible. This is the possibility that network marketing offers. It goes far beyond financial and time and personal freedom. It creates awesome possibilities for people in all aspects of their relationships and their lives. « HOW TO GROW YOUR BUSINESS ONLINE. Wow,this is awesome,mind blowing and reviving. Thank you. Glad you got value. What an awaresome life experience from Mr Solomon Okyere, this shows that no matter whoever you may be, if you decide to change your life it is possible if your determination and higher. I know him personally . We are in the Same Network Marketing.